What are the requirements to renew a Nebraska pesticide license? You must re-certify every three years by the April 15 renewal date. Licenses are renewed by submitting proof of completion of an approved re-certification course to the state and paying a renewal fee based on your license. The Nebraska Department of Agriculture will send a renewal notification specific charges. Applicators can pay their renewal fee by mail or online. 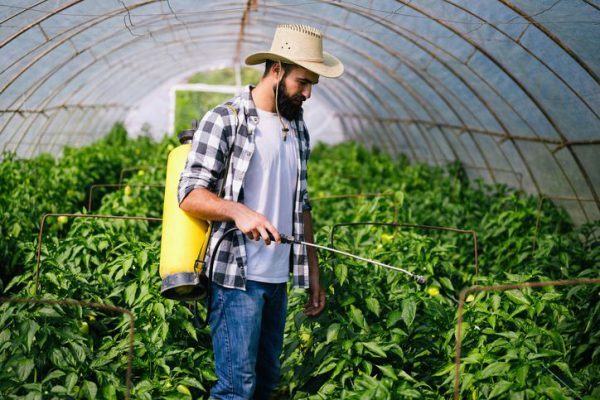 Where can I find courses to recertify my pesticide license in Nebraska? Certified Training Institute offers an online video course approved by the Nebraska Department of Agriculture for your license renewal. The course is completed at your convenience on any device with internet access with the benefit of staff dedicated to answering your questions and helping with tech support. Why is this training better? Certified Training Institute has partnered with Mississippi State University to deliver the highest quality online video training ever produced for the pesticide industry. Combining cutting-edge video technology with an online learning system that is extremely easy to use. These courses are raising the standard for online education in the pesticide industry. Gene Merkl, the on-screen instructor, walks applicators through each and every topic, making sure they know exactly what is required of them both at the state and national level. Completing your applicator re-certification program through Certified Training Institute is extremely easy. Simply call 1-800-727-7104 and our training advisory staff will assist you in registering and starting your course, or click this link (Nebraska Re-certification Program) and register yourself online. Once the registration and checkout are complete, you will be able to start your course immediately. No, you may come and go as you please. The system will keep track of your progress so you can begin again, right where you left off. How do I submit my completed re-certification course to Nebraska? Certified Training Institute will submit your program completion to the state. You will also be able to print a copy of your course certificate immediately after finishing the course. This entry was posted in Pesticide and tagged Nebraska Pesticide, Nebraska Pesticide renewal.